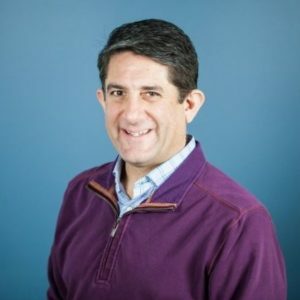 Kevin Cuozzo is Partner Liaison at Botkeeper, a company that provides innovative automated bookkeeping solutions around the clock, using a combination of human-assisted AI (“augmented intelligence”), machine learning, and skilled accountants. Botkeeper’s solutions cover accounts receivable, bill pay, collections, customer invoicing, revenue recognition, multi-entity accounting, and more. With the “rock star” solutions that Kevin and Botkeeper provide, client businesses have reported significant growth, as well as an average of 50 percent savings compared to the cost of outsourcing services or hiring a bookkeeper. As a Treehouse ASK, Kevin is looking for innovative accounting folks who would be great Botkeeper partner program leads. Kevin has an MBA from Babson College – Franklin Olin School of Business, and a Master’s degree in history from University of Massachusetts Boston. As an undergraduate at State University of New York at Albany, Kevin was a founding father of the school’s Alpha Tau Omega chapter. While a student at Babson, Kevin traveled to Brazil and China to study entrepreneurship in emerging economies. His interest in entrepreneurship and small businesses continues today, and he has spent the past 20 years of his career working for and supporting small businesses. Kevin has a volunteer’s heart. Outside of work, he has provided pro bono consulting, and has volunteered for the non-profit Share Our Strength/No Kid Hungry since 2013. On the other hand, Kevin does not think chocolate rocks. Orange Door Kitchen – A food-focused multi-use space designed to foster community, extend hospitality, and promote sustainability. Draudt Design Architects – Thoughtful Design for Your Home. New Habitat Partners – Thoughtful design, environmental responsibility, and locally-based economic development. Clocktower – IP attorneys guiding entrepreneurs from startup to exit.